Diamond Broach Co. was founded in 1942 by Ron Gee in Detroit, Michigan. 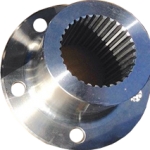 The company began providing its Automotive, Agricultural, Industrial, and Machine Tool customers with high quality broach tools and low volume broaching services. Years later the company was passed on to Ron’s son Jack Gee. He moved the company to its current location in Warren, Michigan and continued to provide broaching tools and prototype services for their valued customers. In 1989, the company was sold, to a longtime employee, Ronald J. Fauquier. The company evolved into providing low to medium production broaching service only with quick turnaround. The company was purchased in 2016 and renamed Diamond Broaching Service LLC to showcase its value to its customers and the industry. The new team of Engineers and Machinists continue to provide the same high quality broaching services that our customers have depended on for over 70 years. SAE 6 & 10 STRAIGHT SIDED SPLINES & more.